this is a folding album, accordion style. 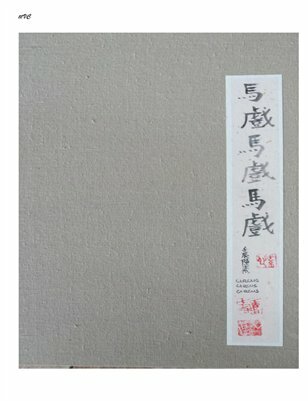 I did the original painting in traditional Chinese style using watercolor/ink on rice paper.. it is a continuous wordless story painting bound between two silk brocade covers. this album takes one to the circus without ever leaving your chair. my guess is that childhood memories will flood back. enjoy. the 70 ft. painting is too long for comfortable viewing so I chose to do the magazine. check out my others as well.